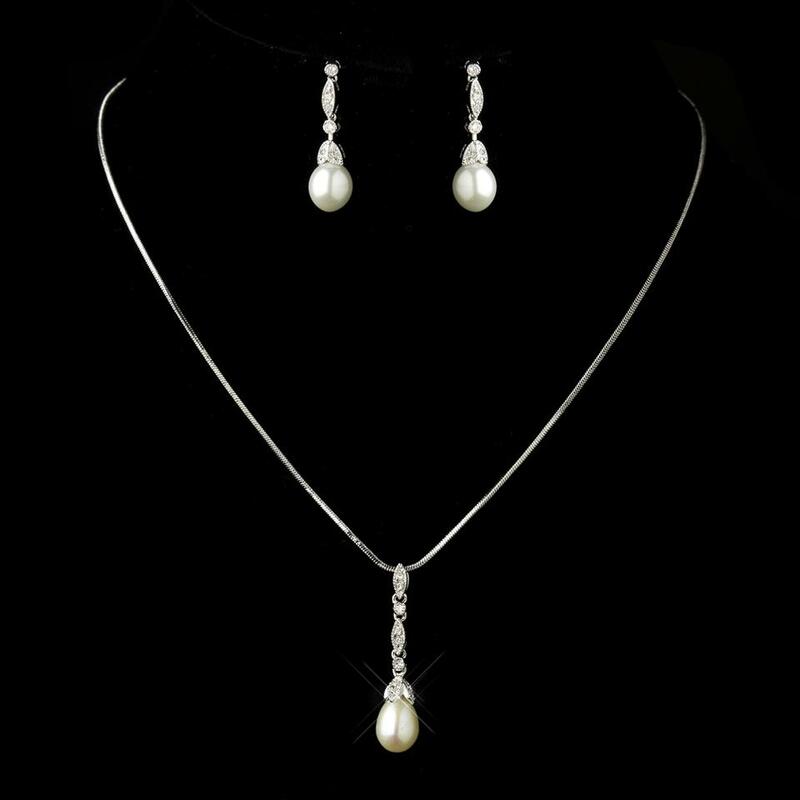 This fabulous silver plated bridal jewelry set features CZ stones for sparkle as well as a gorgeous diamond white pearl drop. 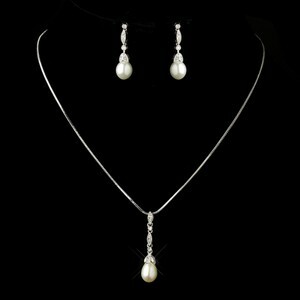 This set is unique and a truly romantic accessory for your wedding day! 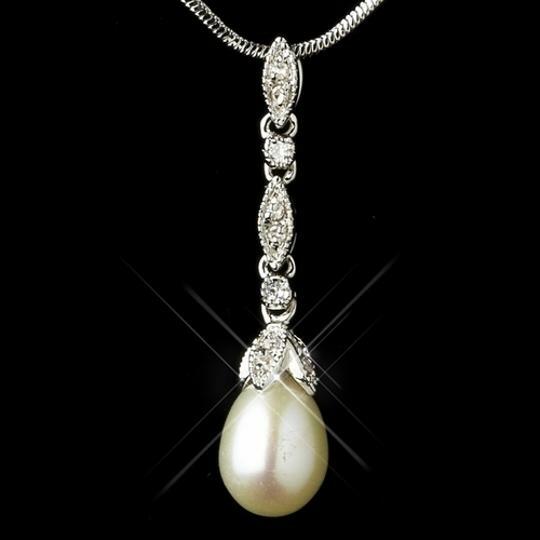 Size: Necklace - 18 1/2" long with a 1 1/4" Drop. Earrings - 1" long and 1/4" wide. 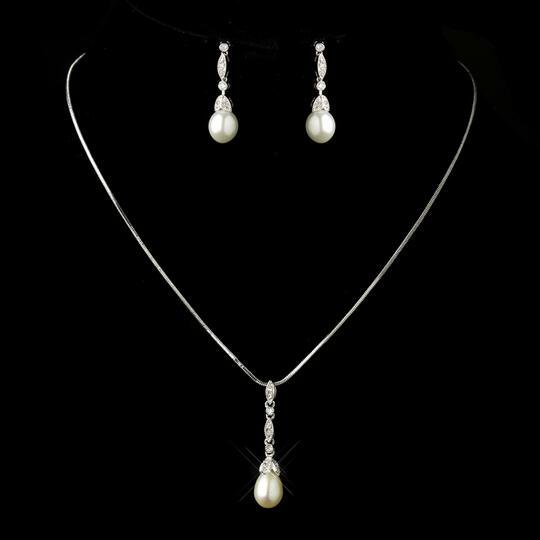 Color: Silver/Diamond White (off white).